Today we are proudly presenting you a Flash business design that definitely differs from boring ordinary business web projects. Our designers’ goal was to achieve simple elegance free from clutter to make the website visitors focus on the targeted website content. Simple and clear but at the same time highly functional, this Flash CMS template arouse the feeling of trust and tells about its owner’s professionalism. 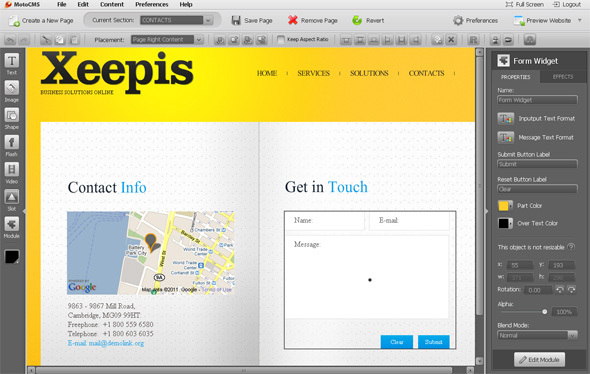 Despite its simplicity, the design will amaze your website visitors with the highest functionality. 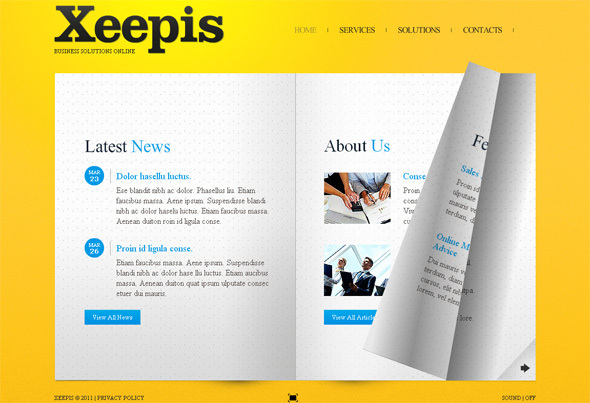 The template is equipped with page flip component that allows you to present your website content in an unusual expressive way. The main website element is a digital book that is navigated by means of an unobtrusive drop down menu. You may also navigate the book by clicking on a page’s corner or dragging it with a mouse. The advanced Flash content management system integrated into the template allows you to customize the website according to your project needs and your personal wishes. You can easily add pages, pop-ups and other elements, change the color scheme or background of the website, add the logo, change fonts, and much more. Actually, this Flip Book is a complete website with Flash CMS integrated, so you can simply fill the book with your content, and you will have a ready Flash design! The Moto Flash CMS integrated into the template is the most feature-rich application on the web. Due to the variety of modules, widgets and slots, you will easily create an RSS Feed for your readers, embed a google map in your website or create a functional contact form. Well guys, how do you like the solution? 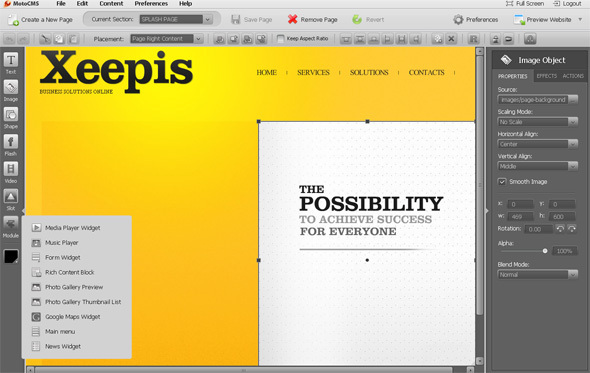 Try the control panel Demo and evaluate the opportunities and functionality of this amazing Business Flip Book Template by your own.